Construction accounting involves multiple complexities not seen in every industry, which is why Belbol & Associates has developed industry-specific services for both contractors and subcontractors. We work with clients in all segments of the construction industry providing accounting, consulting and tax services with unparalleled knowledge and service. 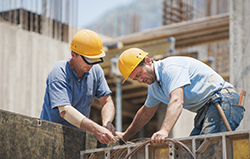 Our services are designed to tackle the unique challenges faced by construction contractors while still providing traditional accounting and tax services. Our goal is not only to make your business run more efficiently, but to also make it more profitable. Our accounting services provide a cost-effective solution for Oradell, NJ area construction businesses. We have extensive experience in the construction industry and are looking forward to working with you. Give us a call today at 201-523-9442 to schedule your free initial consultation. In addition to the industry-specific services we provide, Belbol & Associates also provides traditional accounting and bookkeeping services to Oradell area businesses. Belbol & Associates offers both construction business tax return preparation services and year round tax planning to minimize your tax liabilities. Looking for a cost-effective way to streamline payroll processing? Belbol & Associates offers full payroll outsourcing services to our construction industry clients. Are you a contractor looking to start a new business? Belbol & Associates can help match you to the perfect business entity and provide the necessary guidance to get your business off the ground right. Want to learn more about our construction accounting services? Schedule your free initial consultation now or give us a call at 201-523-9442 today.